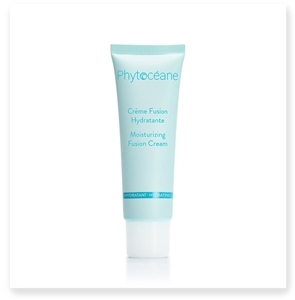 Phytoceane's HYDRA-NOURISHING CREAM Complete Comfort intensely hydrates the epidermis. The combination of a plant complex and a marine ingredient nourishes the skin and restores the hydrolipidic film. Its creamy texture provides your skin with immediate comfort. Aside from basic cleansing, keeping the skin hydrated should be at the top of the skin care priority list. Natural moisturizing is Phytocéane’s primary focus and the brand’s marine face hydration collection is at the core of their professional spa-quality product line. 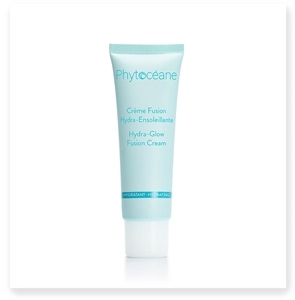 Phytocéane spa hydrating treatments are formulated with Jania rubens, a species of vegetal coral whose molecular structure resembles that which is found in our skin. This miracle ingredient protects the complexion, holds in moisture and remineralizes the skin to leave the face glowing with health and hydration. Free from harsh chemicals that can actually dry out the skin over time and leave it looking duller than before, the Phytocéane facial moisturizing line is designed to naturally quench and protect the skin for a healthier look. Skin feels more comfortable, less tight and soft all day long. Quench your complexion with these soothing, marine treasures!